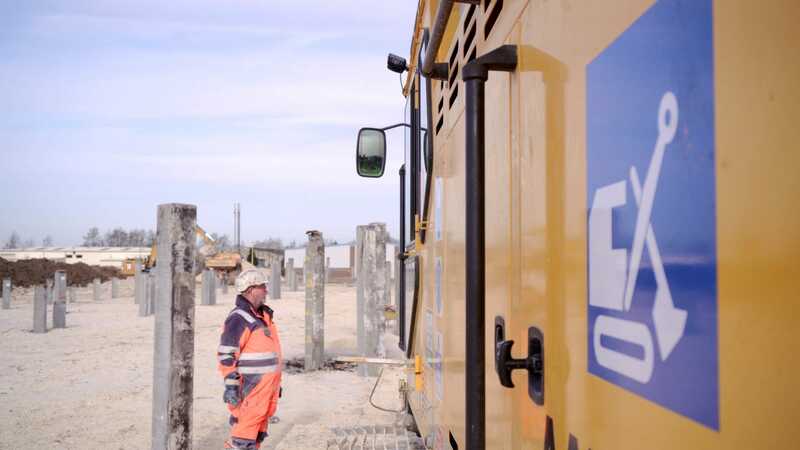 Piling, Geotechnical and Sheet Piling contractor, Aarsleff Ground Engineering Ltd is the subsidiary of Per Aarsleff A/S, one of Denmark’s leading civil engineering contractors. From small slope retention in a back garden, through to multi-million-pound installation projects, Aarsleff brings a wealth of knowledge and experience to any project. Aarsleff Ground Engineering works closely with its client partners from concept and planning stage through to delivery and handover. 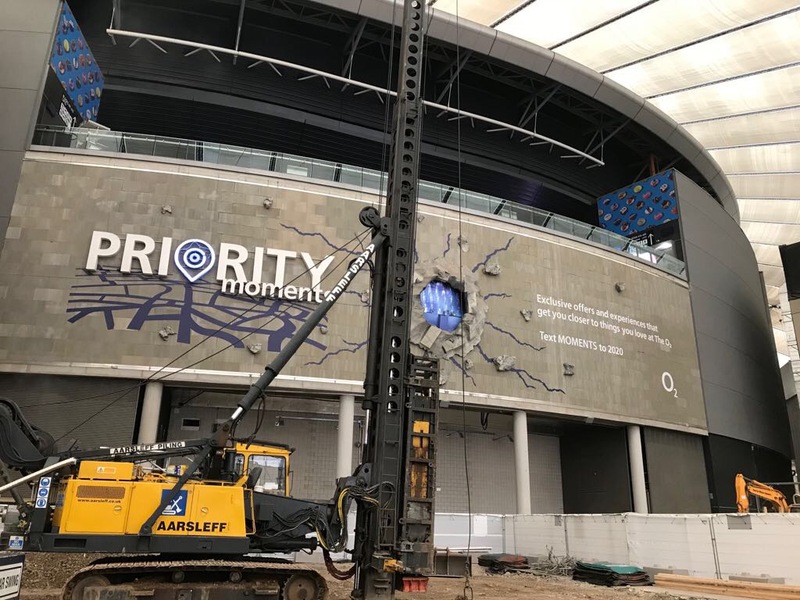 Speed and efficiency, both major considerations for today’s built environment, are designed into operations, but always against a backdrop of safety and good working practice. With all major accreditations held, Aarsleff is the ground engineering partner of choice for any construction project. Since entering the UK market in the late 1980s the company has grown rapidly to become one of the country’s leading Piling, Geotechnical, Sheet Piling, Retaining Wall and Ground Engineering contractors. 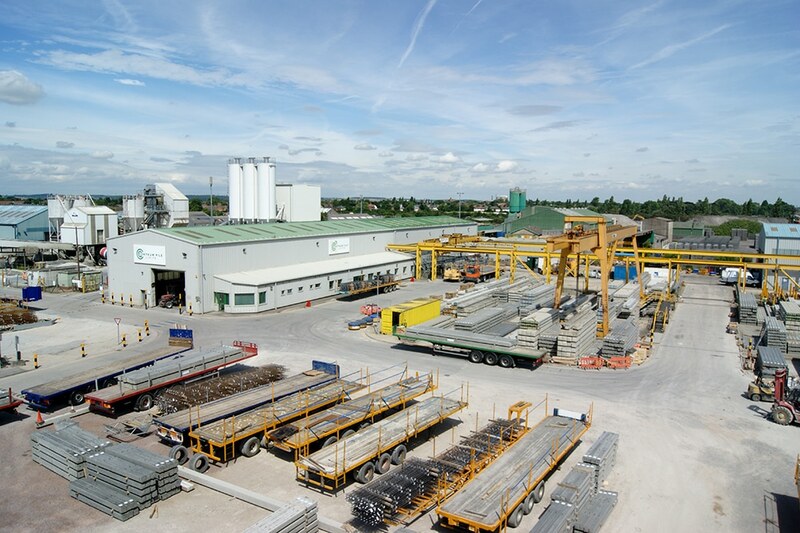 Aarsleff Ground Engineering’s sister company Centrum Pile Ltd has an advanced pile manufacturing facility to ISO 9001 standard, from where it manufactures and delivers precast reinforced concrete piles and precast ground beams to supply Aarsleff’s contracts. Aarsleff is aware that all its activities influence its surroundings, both environmentally and socially. In its manufacturing facility, the Harvester collects all the rainwater from its curing chamber roof that can hold up to 75,000 litres of rainwater. All the fresh water used daily to wash out the mixers is recycled. One typical day can see Aarsleff use 13,000 litres of recyclable water. Furthermore, all the rainwater off its concrete floor area runs into the waste pits around the Batching Plant and will be used as recyclable water going into its mix. In the manufacturing process, all the waste concrete blocks go for crushing to be used as hard-core. Aarsleff’s state-of-the-art factory also enables it to manage materials onsite, and in turn reduce the number of deliveries to and from the site, thus reducing Aarsleff’s carbon footprint. Aarsleff Ground Engineering works within the Rail, Commercial, Civils, Infrastructure, Energy, Maritime and Residential market, delivering smart sustainable solutions to the country’s most technically challenging foundation projects. We operate across London, South East, Hampshire, Dorset, Wiltshire, Oxfordshire, The Cotswolds, Bristol, Bath , Somerset, Devon, Cornwall, East Anglia, West Midlands, Peak District, East Midlands, Northwest, Cumbria, Yorkshire, the North East and Scotland. Aarsleff works on schemes from single plot houses to multi-use residential developments, wind farms (Onshore and offshore) infrastructure (rail, embankments, roads) and large sheds and commercial units needing a variety of pile types or geotechnical services. The benefits of driven piling in regards to offsite construction and MMC (Modern Methods of Construction) are there are no spoil or hazardous waste to dispose of, reduced carbon footprint and accurate installation. 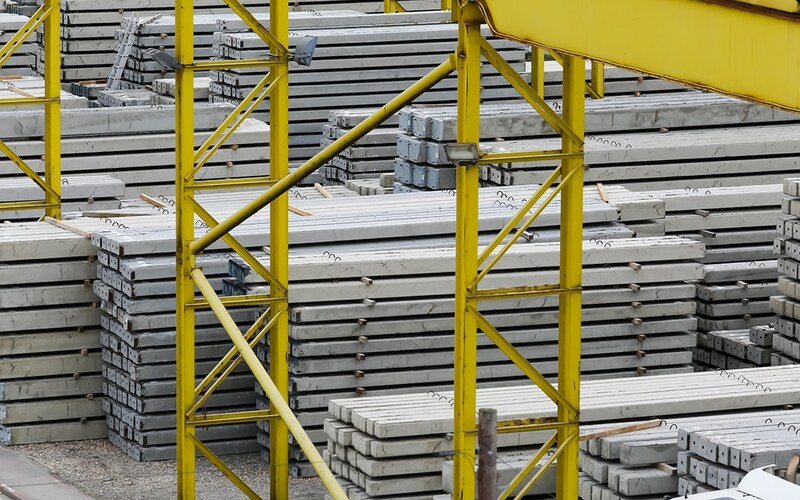 Concrete is responsibly sourced using high-quality raw materials and manufactured under controlled conditions to BS EN 12793 and produced to BSI Kitemark standard. Aarsleff’s Ground Beam System is a fast, sustainable, zero-waste precast ground beam system for house foundation packages. Aarsleff Group also specialises in harbours and marine construction. In Denmark currently, Per Aarsleff A/S are the market leader. Through more than 40 years, the Group has developed the specialist expertise required for marine construction work. Our harbour and marine construction projects include: Harbours, marinas and Ferry berths, Coastal protection, sea crossings and dredging work, Dolphin structures, fenders, piers and outfalls, Embankments and offshore wind foundations, Breakwaters and groins, Quays for inland harbours, Permanent and temporary artificial islands, Strengthening of anti-flood embankments, Piled foundations and structures constructed offshore. Aarsleff has an impressive UK based fleet plant and equipment for all of its services and also access to Europe’s largest fleet of driven piling and drilling rigs and ground engineering machinery. Both Aarsleff’s Junttan and ABI rigs types are highly manoeuvrable, modern piling rigs with low noise levels. All of Aarsleff’s equipment is fitted with the latest and most efficient hydraulically operated drop hammers. Aarsleff’s impressive range of equipment/techniques (inclusive of vibration and noise limiting techniques) and its offsite manufacturing facility are unrivalled. Aarsleff’s full in-house technical estimating, design, manufacture and installation teams, gives Aarsleff the capability to design and install various types of solutions for a variety of clients and projects. Aarsleff is aware that all its activities influence its surroundings, both environmentally and socially. Aarsleff is accredited for Exova BM Trada for 9001:2015, 14001:2015 and OHSAS:18001 which assures Aarsleff clients that we produce high-quality products and solutions, consider the environment, and health and safety are a core value of the business. Aarsleff avoids excessive material, water and power consumption and strives to reduce greenhouse gas emissions in every stage of production, design and work performance. Pursuing the values of social responsibility, Aarsleff supports various charities throughout the year and strives to recruit local talent and use local suppliers where possible. 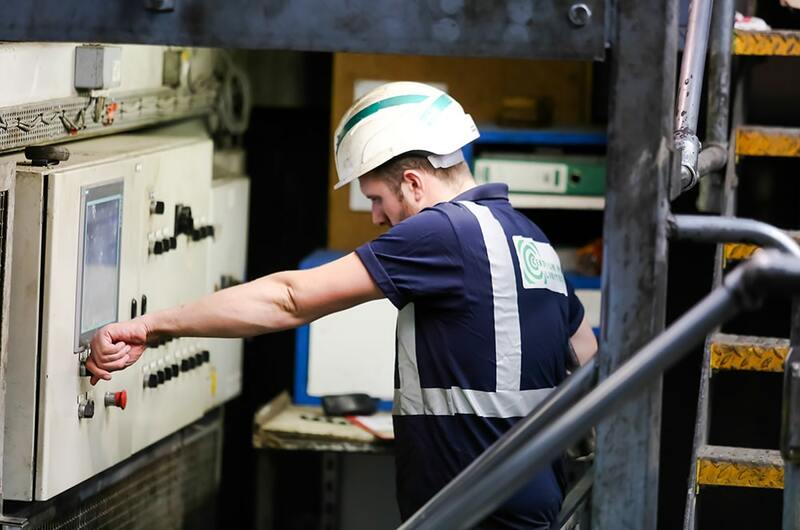 Aarsleff continuously monitors and adapts working practices and equipment to improve the environmental impact of noise and vibration in its working practices. It is able to operate in sensitive locations. The piling hammer can be shrouded to reduce sound emissions at source and where adjacent structures are sensitive to vibration, the hammer fall height can be finely controlled to minimise the effects of pile driving; alternatively, pile positions can be pre-bored or steel tubes. It is able to operate in sensitive locations. The piling hammer can be shrouded to reduce sound emissions at source and where adjacent structures are sensitive to vibration, the hammer fall height can be finely controlled to minimise the effects of pile driving; alternatively, pile positions can be pre-bored or steel tubes driven. Categorised as a Modern Method of Construction (MMC), precast piles use less natural materials and less cementitious materials per unit load carried than an Insitu formed none cased pile. 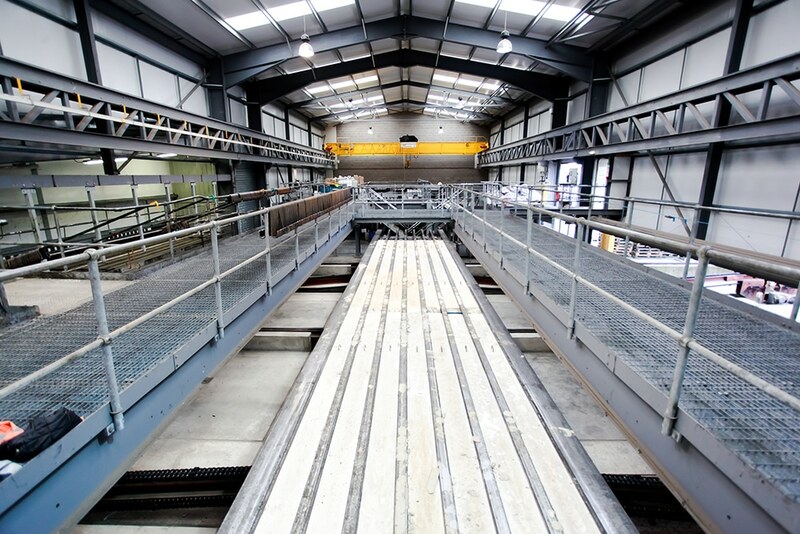 The offsite manufacture of Aarsleff’s products provides a number of benefits with respect to QA, reduced energy and carbon consumption, durability and low waste, while their driven installation benefits from low spoil production. 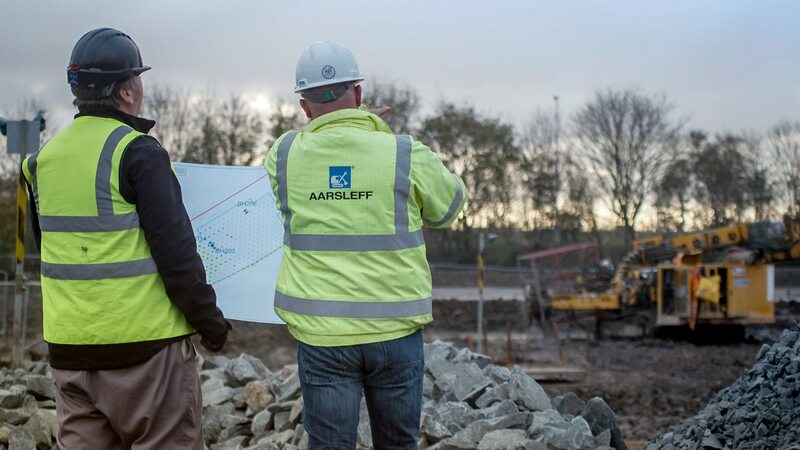 Aarsleff’s geotechnical engineering practises are sustainable for a number of reasons, including the use of alternative, environmentally friendly materials, and the reuse of waste materials. Furthermore, the geotechnical department investigates and implements innovative and energy efficient ground improvement techniques.